I have to upgrade my phone. Emphasis is on the ‘have’ because Telstra are closing the CDMA mobile network and replacing it with a whizz-bang faster, more bells and whistles 3G type network. I have a very plain and hardly any bells and whistles type mobile phone. It does exactly what I want it to do, that is make and receive calls and texts. It doesn’t rule my life but it is definitely convenient to have and I’m annoyed that I HAVE to upgrade it. So of course I’ve been investigating what phone I might upgrade to. If I stay with Telstra I’ve got a paltry choice of NextG phones if I want the same sort of coverage that CDMA provides. Of course any decent phone is expensive because of all the extra functionality they seem to have these days. Or I could choose another provider – 3G perhaps? If I do choose another provider then it has to be worth my while because I would give up some Telstra rewards I currently get with having my landline and mobile phone with the same provider. I would also have to pay out the few months left on my contract that Telstra make you go on if you want to enjoy these rewards like free texts etc. I want some regional coverage because some family and friends live in the country and if I break down en-route to them I don’t want to not be able to call for help. I also don’t want to be locked into a 24 month contract to get a ‘free’ phone so I’m looking for a at least a few hundred dollars initial outlay. Do any of you Aussies out there have any recommendations for me? Do any of you have a NextG phone? Are you with a different provider? 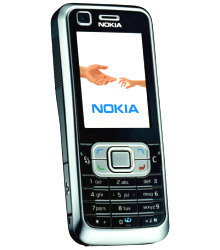 If I do go with NextG I’m thinking of getting the Nokia 6120 phone. Anyone have one of those? I am very against Telstra ever since this incident: http://meanwhile-backattheranch.blogspot.com/2007/07/stupid-evil-telstra.html . However I do accept that they probably have the best country coverage of anyone so I may be forced to swallow my outrage and recommend them on that basis. I’m with Vodafone, and am perfectly happy with them, but then I’m usually in a major city. As for phones, I love that one you have there. I think Nokias have the best battery life, but it’s driving me insane that I will have to pay for a bajillion features I won’t use. Phone calls. Text messages. Oops, sorry it’s so long. You’ll need to do another post when you do pick a new phone! I went with the Samsung $30 2 year deal because I am lazy like that and like someone else to make the choice. Not that it really matters, as there are only 2 spots that receive any reception on the last 150km of my trip to my family – but at least I tried.